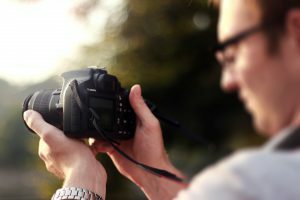 This introductory course is designed for people with their first Single Lense Reflex (SLR) digital camera. Topics covered include: functions of the SLR camera, shutter speeds, F-stops, modes, flash, lenses, exposure and downloading images to a computer. This intermediate course is a combination of theory and actual use of your digital SLR camera. Weather permitting, we will practice what we discuss and will take photographs outdoors. To register for this class, students must have completed the course Digital SLR Photography for Beginners or be familiar with the camera’s controls. Topics covered include: basic functions of the camera, flash and fill flash, exposure compensation, depth of field and lenses. Please bring a tripod and your camera’s manual to class. Also bring an external flash if you have one. Prerequisites – Completion of our course Digital SLR Photography for Beginners, or basic experience using a digital SLR camera.